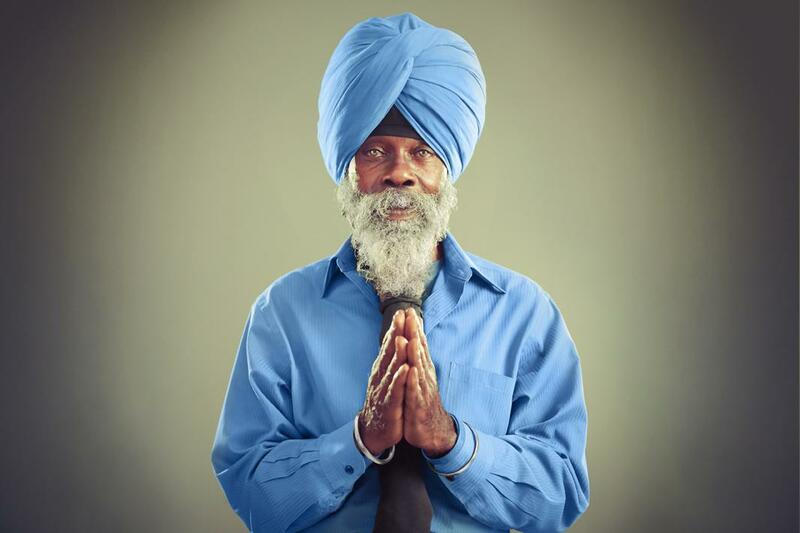 Amit Amin and Naroop Jhooti photograph American and British Sikhs in The Singh Project. 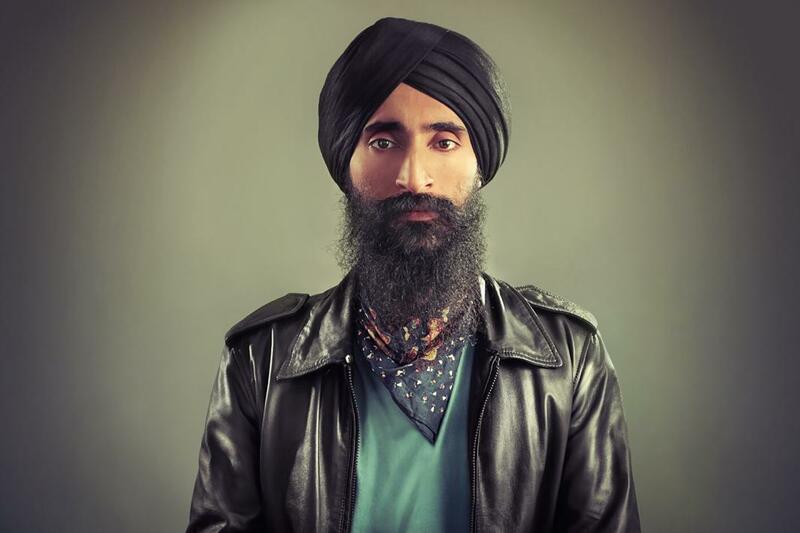 Three years ago, British Sikh photographers Amit Amin and Naroop Jhooti began noticing that beards had become a popular fashion statement among hip Londoners. 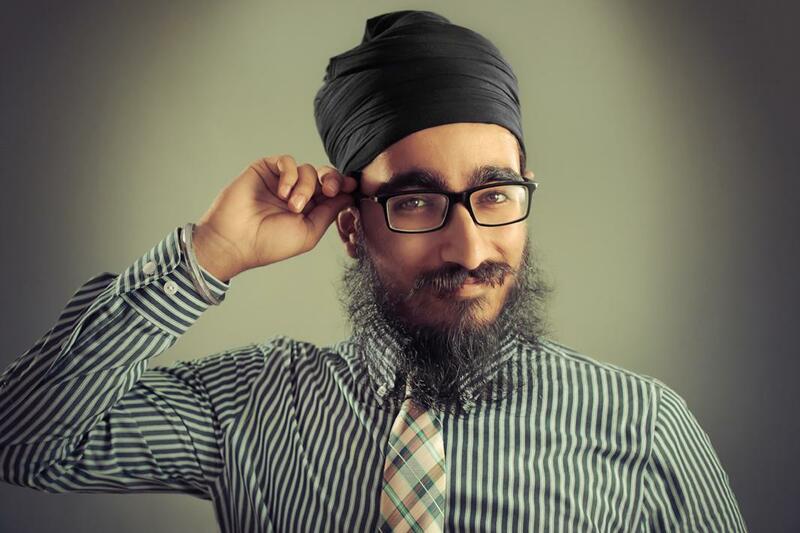 That got them thinking about Sikh men, for whom facial hair isn’t merely a fad. 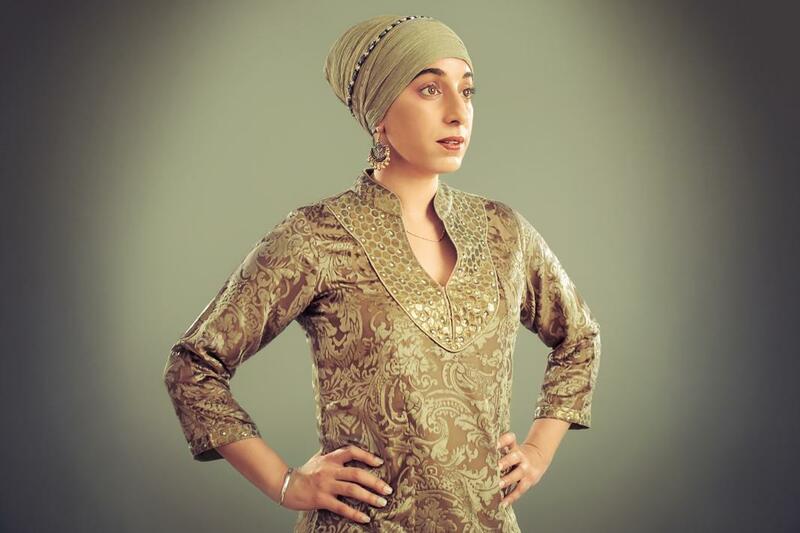 For the next year and a half, they photographed 36 Sikhs of all ages and occupations, including a boxer, a magician, a watchmaker, and a filmmaker, for their series, “The Singh Project.” Their studio photographs highlighted the distinct ways they wore their turbans and beards, both ancient signifiers of Sikh identity. “They were purposefully captured in a uniform way to make the subjects the focal point of the photograph. Also, we had never seen stylized, studio portraits of Sikhs, so that influenced our approach,” they said via email. 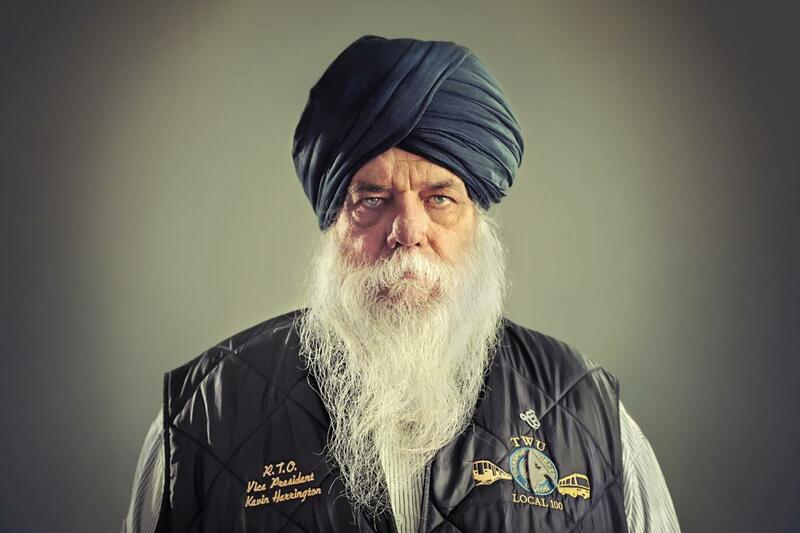 This year, with support from the Sikh Coalition, Amin and Jhooti expanded their project to the United States, photographing 38 American Sikh men and, for the first time, women. While these portraits, like their British counterparts, showcase unique personalities, Amin and Jhooti also want them to serve as a reproach to prejudice against Sikhs here, which became pronounced after the Sept. 11 terrorist attacks. “We obviously want to break the ignorant stereotypes made in the U.S. that all Sikhs look like terrorists. Even writing those words makes us angry. In this day and age, with all the technology, information and resources available to us, for someone to still make that assumption is unbelievable. But yet it happens. It’s shocking,” they said. Ishprit Kaur is a new nursing school graduate in Connecticut. She was inspired to go into this field because her mother is also in the profession and because her father is battling Parkinson’s disease. Sat Hari Singh (aka Kevin Harrington) was an MTA train operator on 9/11 when he heroically reversed the train, sending it in the opposite direction, which saved lives and won him an award. The people they’ve photographed have all faced abuse of some sort for being Sikhs in America, Amin and Jhooti said, but they’ve remained true to their beliefs and heritage through it all. For that, they say, they should be admired. 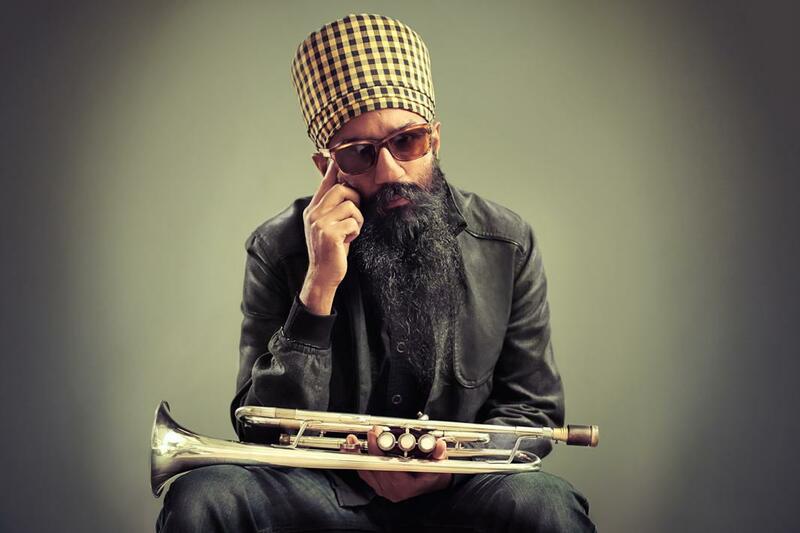 “We hope people will realize Sikhs are just like everyone else. When people see a Sikh they shouldn’t turn in fear, but run towards them, for they have been raised with the ideals of equality, service and protection. They are hard-working, loyal individuals who want to add value to society, not destroy it,” they said. 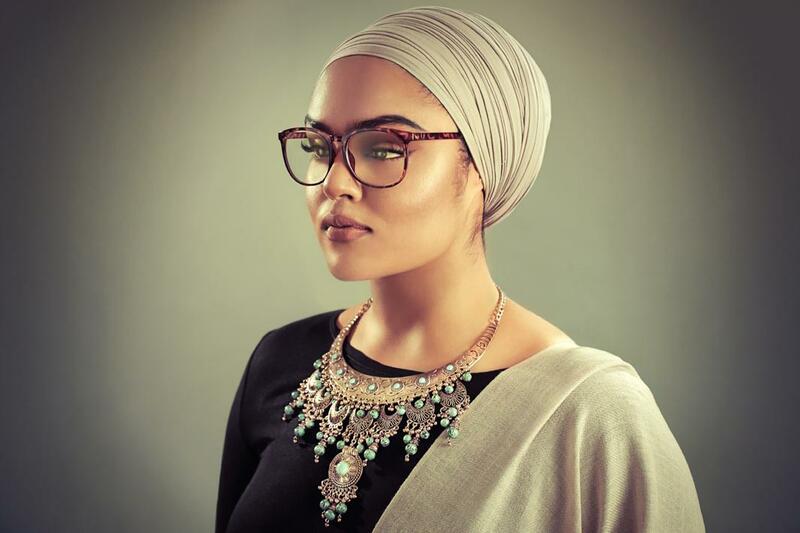 From Sept. 17–25, the Sikh Coalition will present Amin and Jhooti’s American portraits in a free exhibition titled “The Sikh Project” at 530 Broadway in New York City. Lathan Dennis-Singh is a retired engineer. He was born in Kingston, Jamaica, and was good friends with Bob Marley. He converted to Sikhism more than 48 years ago at his college in Michigan and has been living in Fairfax, Virginia, for nearly three decades. 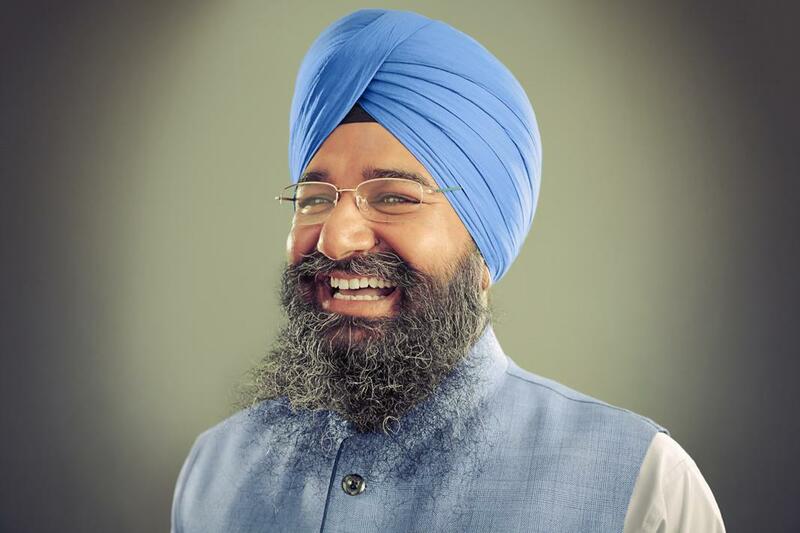 Ravinder Singh Bhalla is an attorney, civil rights activist, and public official. 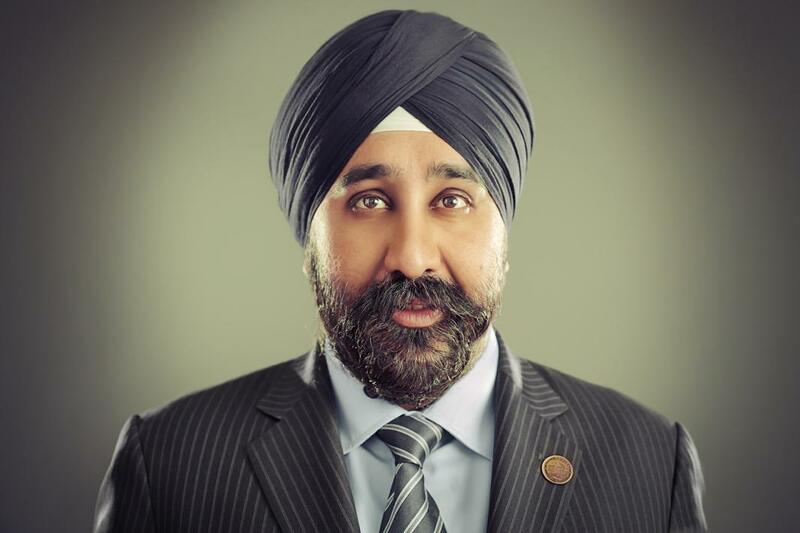 He became the first Sikh elected official in New Jersey history when he won election to the Hoboken City Council. Ravinder has been serving for eight years, with two as Hoboken City Council president. 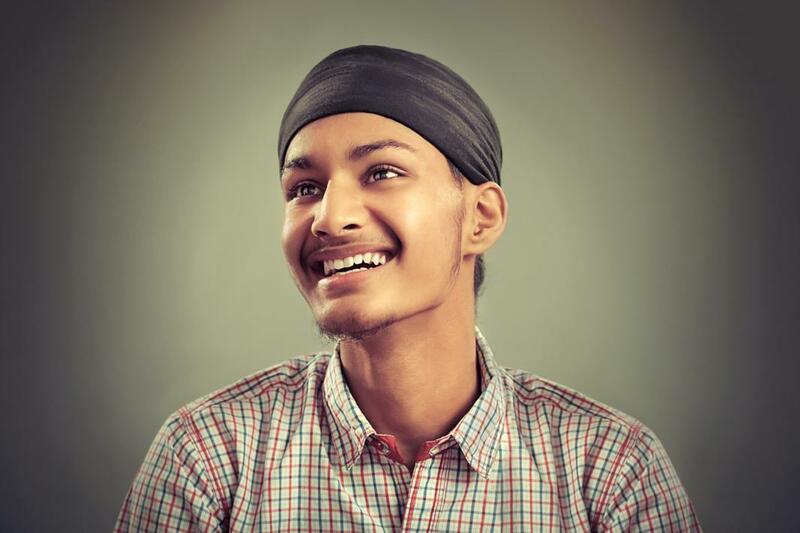 Harmandeep Singh is a high school senior at Hillcrest High School in New York City. A recent immigrant from Punjab, India he joined the Sikh Coalition’s Junior Sikh Coalition to help raise Sikh awareness while developing new leadership skills. Japjee Singh was bullied mercilessly for years in DeKalb County, Georgia. He courageously spoke out, and his family contacted the Sikh Coalition. In 2014, the Department of Justice settled a landmark case with DeKalb County school system, better protecting more than 100,000 kids from bullying. Maj. Kamaljeet Singh Kalsi was born in India and moved to New Jersey when he was 2. 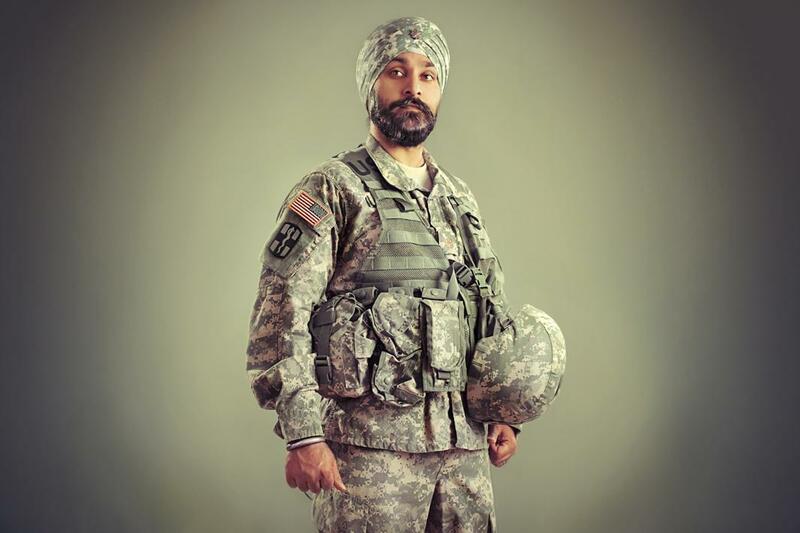 He was the only Sikh child in his public school, and he went on to become the first Sikh American to be granted a religious accommodation to serve in the U.S. military since the ban on Sikhs in the 1980s. Today, despite his accommodation, the presumptive ban still remains against Sikh Americans who wish to serve in the armed forces, and Kalsi continues to work toward ending religious discrimination in the military. Raghuvinder Singh’s father, Punjab Singh, was shot in the face at the Oak Creek, Wisconsin, gurdwara (Sikh house of worship) during the 2012 mass shooting there. Punjab Singh remains paralyzed and unable to speak. Raghuvinder travels from his home in New Jersey to Oak Creek every week to spend time with and take care of his father, who communicates through blinking his eyes.